Our platform Bee4IT is unique worldwide. Holistically interlinked, it integrates the various business areas, and creates transparency in the company. 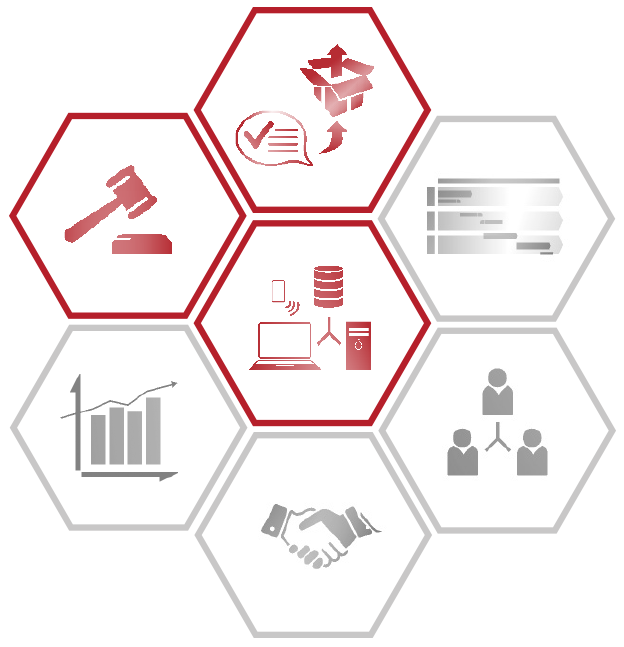 We collect, manage, and organize data and offer an unequaled CRM/ERP system for the IT – a fact-based management system with a minimum of complexity that covers all relevant areas of your organization. With Bee4IT, we create a new culture that enables IT to design and drive innovation. This is what we stand for as a team at Clausmark. Enterprise Architecture Management (EAM), and Financial Management (FM) have the ideal answer to all forms of organizations. And if something is missing, the ready-to-use best-in-class content can be adapted or extended as required. Bee4IT interlinks all areas and creates a uniform knowledge base for the organization. The relevant aspects from the three major management areas Financial Management (FM), Enterprise Architecture Management (EAM), and Program & Portfolio Management (PPM) are holistically integrated in Bee4IT. Financial Management guarantees the control of your IT organization on the basis of financial key figures available at all times and complete cost transparency. It clearly shows where money is spent, how the prioritization of expenses is determined and which risks are considered. Improve the quality of your organization’s deliveries by making the best possible use of your internal and external employees and by clearly assigning responsibilities. Act as partners with the business on an equal footing and provide for a fair cost allocation. Project and Service Orchestration (PSO) enables the best possible steering and execution of the IT service and project portfolio. Consistent reporting and standardized management processes always show all relevant information of your portfolio. The integrated work of project managers, controllers, and enterprise architects maximizes the success of the project and ensures the overall strategy. Organization and Resources (OR) enables the best possible deployment of employees in the company. Managers, project and service managers, and employees team up to develop staff and resource planning; this leads to high acceptance, better service, and maximum motivation. Contract and Suppliers (CS) contributes to the development of an efficient procurement strategy and optimizes the performance of your suppliers. The illustration of the external project and service costs (PSO) provides a holistic picture of the costs per supplier and contract. Identify business-critical suppliers and make strategic decisions (OR). Budgeting, Forecasting and Charging (BFC) is the basis for steering your IT organization on the basis of comprehensible financial figures available at all times. View costs from any perspective – overall budget, cost types, OPEX/CAPEX, build/run, etc.. Integrated cost allocation is automated and ensures maximum cost transparency and traceability of prices for customers. This comb is the basis for budgeting your projects and services. Enterprise Architecture Management supports the best possible added value using a demand-oriented IT architecture. The integration of processes reveals all interrelations, including the effects of change requests. In close collaboration with the specialist department, create a simple architecture that ensures your quality and makes goal-oriented use of innovations. 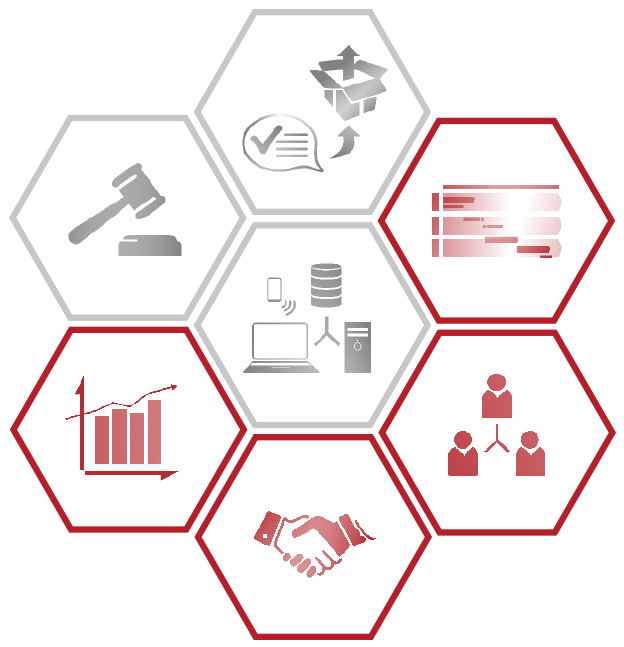 Demand-to-Release (D2R) speeds up delivery and increases the reliability of your organization. This is achieved by a close and tool-supported collaboration between IT experts and the business departments. From demand to delivery, whether change or release, you can keep an eye on everything. Change requests are organized along the Enterprise Architecture (EA) and assigned to the implementing projects (PSO). This enables continuous documentation, progress, and cost control. Enterprise Architecture (EA) is the basis of a company’s success. The visualized value chains and their processes show which IT systems and associated technologies are connected to them. Governance, Risk and Compliance (GRC) ensures compliance with legal requirements as well as internal standards and quality requirements. Current challenges, such as ensuring suitable technical and organizational measures (TOMs), which have received increased attention in the context of the GDPR (General Data Protection Regulation), can thus be implemented in a sustainable manner. Program & Portfolio Management enables the best possible steering and execution of the IT and project portfolio. Consistent reporting and standardized management processes always show all relevant information of your portfolio. Identify the need for action with high-quality and up-to-date data and design your future portfolio with integrated demand management in collaboration with your stakeholders, taking all implications into account. Project and Service Orchestration (PSO) enables the best possible steering and execution of the IT service and project portfolio. Consistent reporting and standardized management processes always show all relevant information of your portfolio. Identify the need for action with high-quality and up-to-date data and design your future portfolio with integrated demand management in collaboration with your stakeholders, taking all implications into account. The integrated work of project managers, controllers, and enterprise architects maximizes the project success in terms of resources (OR), suppliers (CS), and project budget (BFC) as well as the impact on the enterprise architecture (EA) and ensures the overall strategy. Organization and Resources (OR) enables the best possible deployment of employees in the company. Managers, project and service managers, and employees team up to develop personnel and resource planning; this leads to high acceptance, better service, and maximum motivation. Comparing the demand (PSO) with free capacities, reveals overloads and bottlenecks. The appropriate measures can be introduced quickly and target-oriented. Specifically promote talents based on the skills acquired in projects and services and the resource requirements not covered in the organization. This will create a future-oriented organizational structure that can make strategic make-or-buy decisions. 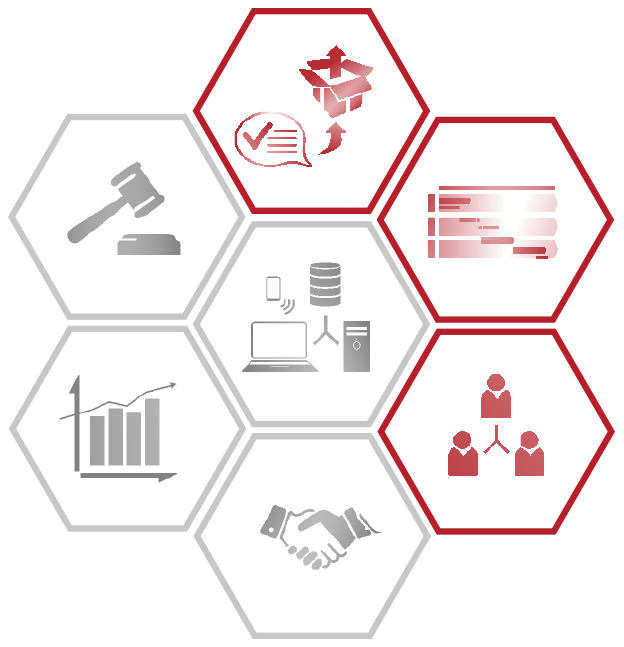 Bee4IT implements complex business processes in a simple manner and enables continuous transparency; thus creating a new form of cooperation. All participants have access to the information – anytime and anywhere. IT can thus provide meaningful support for the business and generate added value for the company. Instead of daily justification, IT experts and the business can concentrate on the essentials – developing innovation for the customer.